Australia’s largest cattle company has warned of “extreme losses” after record-breaking floods, as producers said more than 300,000 cows were drowned or washed away in the vast continent’s northeast. After more than five years of drought, heavy rains over an almost two-week period turned dusty and parched land in Queensland state into vast swathes of mud that bogged down already weakened cattle. Australian Agricultural Company Ltd (AACo) said Monday that four of its properties were “severely impacted” after “unprecedented levels of flooding” in the region, with “extreme losses” forecast for one 30,000-head station. A clearer assessment of the losses, which AACo said would have a “material” impact on its earnings, would only be possible as floodwaters recede, the company added. 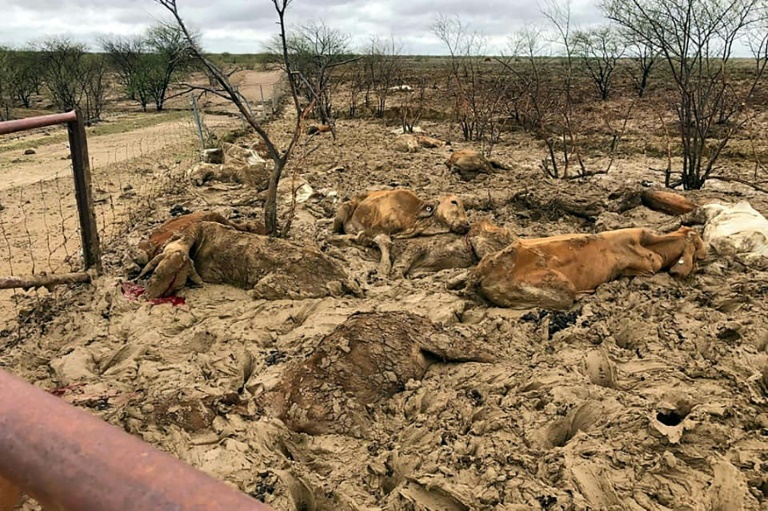 Around half of Australia’s 25-million strong cattle herd are bred in Queensland, with an estimated one in 40 animals killed in the disaster. “We think that there’s over 300,000 head of cattle that have been lost, drowned or washed away” in the state, Georgie Somerset of farm lobby group AgForce said Tuesday. Graziers have been trying to keep their remaining stock alive across 20 million hectares (49 million acres) of flood-affected land. “We are literally ferrying one bale of hay at a time to feed the stock that we can find,” Somerset added. Australia’s weather bureau warned Tuesday that Queensland’s longest river was “experiencing its most significant flood in at least the last 50 years”. “Major flooding will continue along parts of the lower reaches of the Flinders River this week and into next week,” it added. Australia’s tropical north typically experiences heavy rains during the monsoon season, but the downpours saw some areas get a year’s worth of rainfall in just a week.